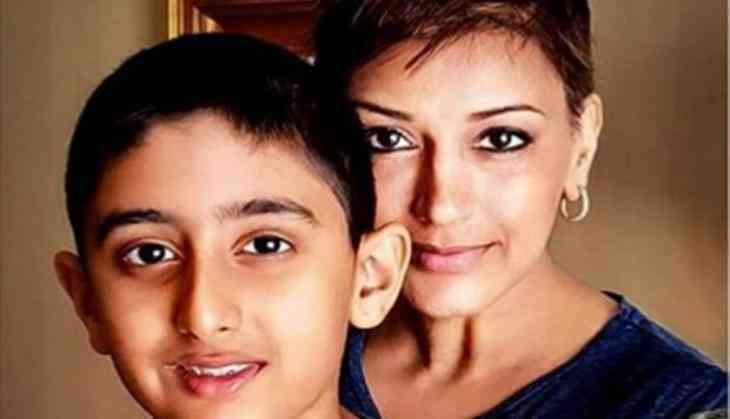 Bollywood actress Sonali Bendre is fighting for life with cancer and currently having treatment in New York. During this, she used to share emotions on social media. Recently she shared an emotional post on her son Ranveer's birthday. Now, this social media post is getting viral on social media. Let us tell you that today Ranveer Behl, son of Sonali and Goldie Behl is celebrating her 13th birthday and Sonali says this is first when she is not with her. She is missing Ranveer mostly these days. Sonali Bendre shared emotions on her social media post. She wrote, Ranveeeeer! My sun, my moon, my stars, my sky... Okay, maybe I'm being a bit melodramatic, but your 13th birthday deserves this. Wow, you're a teenager now... Will need some time to wrap my head around that fact. I can't tell you enough how proud I am of you... Your wit, your humour, your strength, your kindness, and even your mischief. Happy happy birthday, my not-so-little one. It's the first one that we're not together... I miss you terribly. Lots and lots of love always and forever.... biiiiig hug! Once Sonali Bendre said that in these conditions your kids should know about it and they should be with you. Also Read - Is Dulquer Salmaan playing Virat Kohli in Sonam Kapoor starrer 'The Zoya Factor'?